Graffiti is not what it used to be in San Francisco. 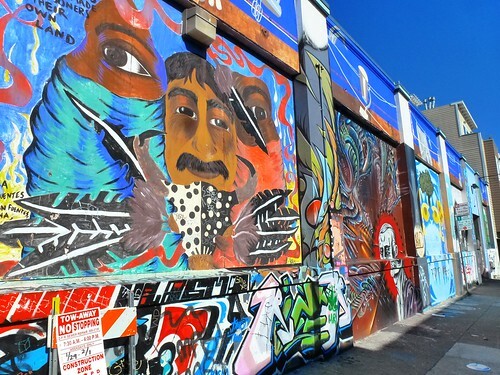 We spent some time there earlier in the week and stumbled on this colorful alleyway down near Mission St. It reminded me so much of Valparaiso, which, totally reminded me of San Francisco…it’s a cyclical thing.